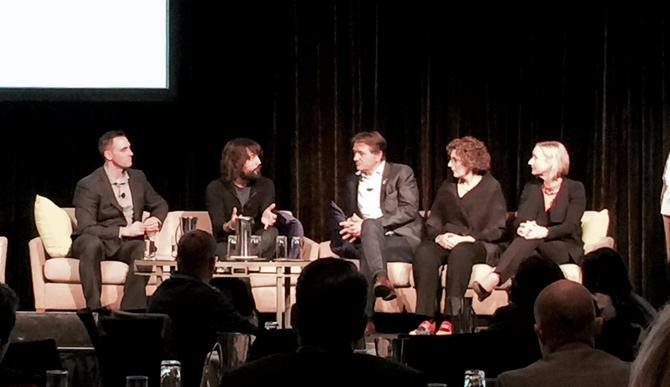 Experts at the Sustainable Brands Event 2016 in Sydney discussed how businesses need to rethink their marketing message to consumers and why the language some businesses adopt might not be working. CEO of eco-capitalist and upcycling company TerraCycle, Tom Szaky, said there is a big difference in what businesses think consumers value and what consumers actually understand. “Things like how a product is made usually gets undervalued by consumers," he explained. "You need to find out what your consumers value – and it may not be the first thing you initially have on your list." According to Szaky, coffee is a great example, given the recent public debate about the sustainable model of capsulised products. Mirvac's CEO and managing director, Susan Lloyd-Hurwitz, said that while the property company's corporate and government tenants understand sustainability, residential customers speak a different language. "With residential customers, they would rather just have $1000 off a house," she said. "We decided we have to completely shift our language. We understood residential customers care about how much it costs to run their home, so we created and are prototyping a concept called ‘the house with no bills’. But from a B2B and investor perspective, Australian Centre of Corporate Social Responsibility CEO, Dr Leeora Black, stressed hard facts and science is still important. "When you think about language, you need to think about the right language for who – and I absolutely endorse the fact that you need to think about language that focuses on what consumers think are important for them," she said. "But businesses still want to see the hard facts and figures, they want to see the language of finance, economics, something that sounds really scientific, serious and heavy duty in order to understand what you want to commit to in the future." In order to appeal to investors, consumers, employees and the local community, Black suggested businesses shouldn't wait for anyone to demand them to change something. "You need to take a more proactive and leadership approach - then use the right language that will appeal to them," she added. "Focus on things that are of interest to them, but ultimately ensure your business is more sustainable, more responsible and more able to compete in the future." Can brand builders do well and do good?